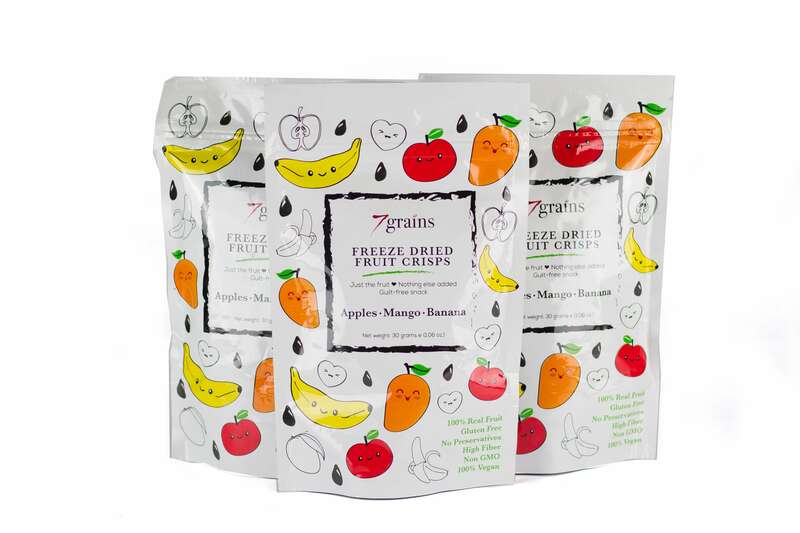 Freeze dried fruit crisps are made of 100% real fruit with nothing else added for guilt-free snacking. 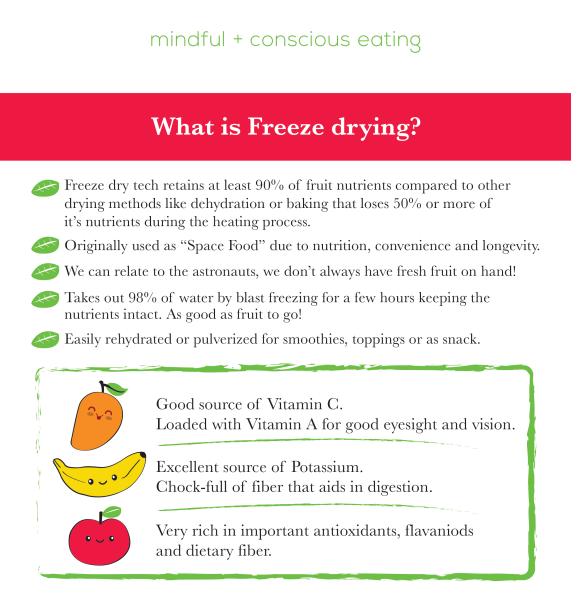 Freeze dry technology retains at least 90% of fruit nutrients compared to other drying methods like dehydration or baking that loses 50% or more of its nutrients during the heating process. 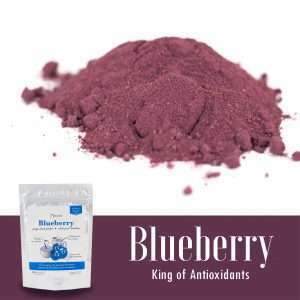 Can be easily rehydrated or pulverized for smoothies, toppings, or an anytime snack. 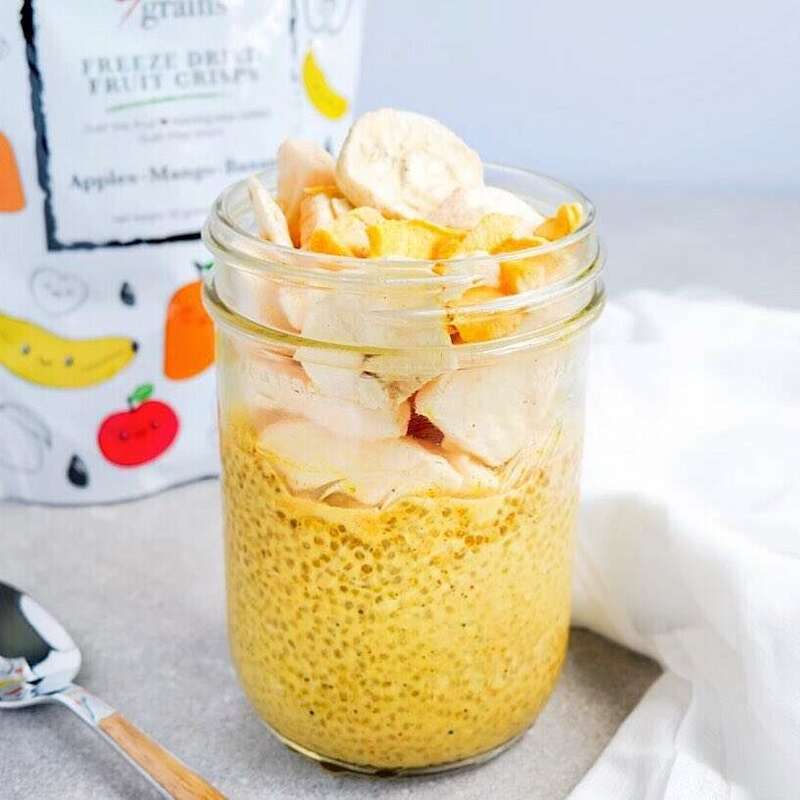 Eat with desserts, toss in with some yummy oatmeal, serve as cereal topper, or a lunchbox treat. 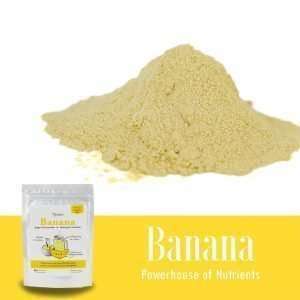 Ingredients: Apple, mango, and banana. Storage: Reseal after use. Store in a cool dry place. 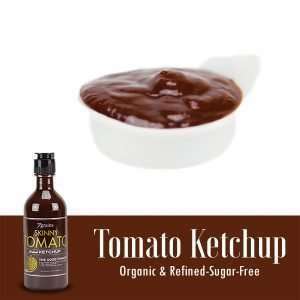 Originally used as “Space Food” due to nutrition, convenience, and longevity. We can relate to astronauts in cases we may not always have fresh fruits at hand and this is a perfect substitute. 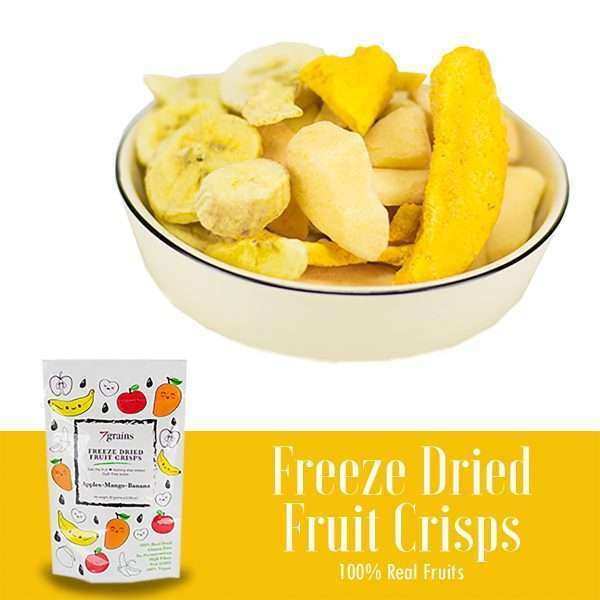 Freeze drying takes out 98% of water by blast freezing for a few hours keeping the nutrients intact. 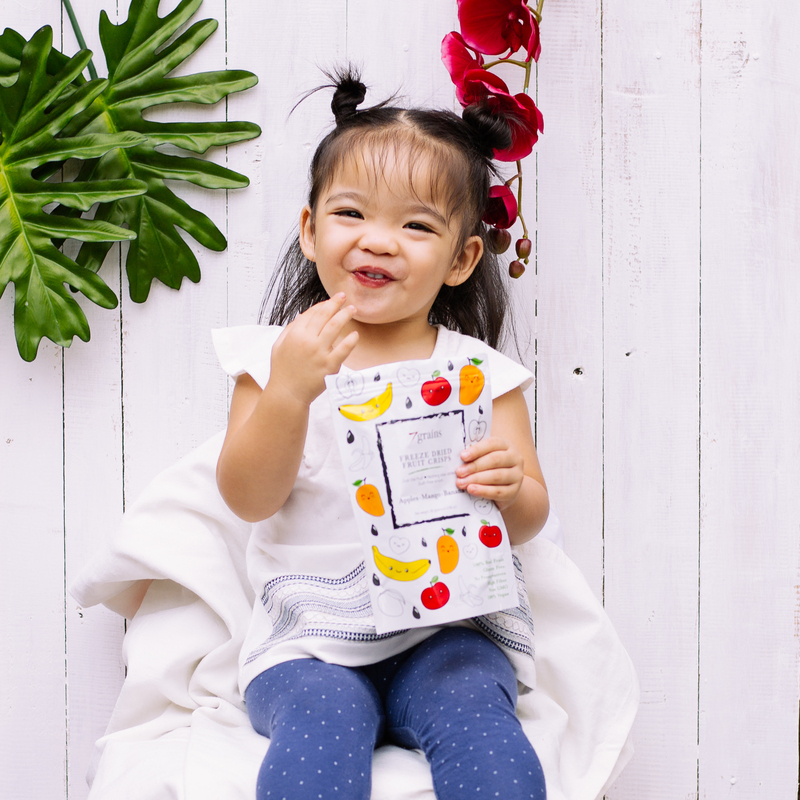 It serves as a fruit to go. 7Grains Company © All Rights Reserved 2018.